Dentistry is the ideal combination of medicine, psychology, and technical engineering. I love helping people change their perceptions of what dentistry can be like. The joy of working in our practice is providing care for people the way we care for ourselves and our families, from the youngest children to grandparents. I hope to help people understand their dental condition and how that affects their overall health. I’ve been practicing as a dentist since 1990 but worked in this practice when I was eight years old. I grew up with a father who was a dentist and loved his profession. I knew I wanted to be a dentist when I was 12 and I’ve never looked back. I want to help people to have dental experiences like I did with my father as my dentist. I thrive on learning. For me, continual learning in dentistry is mandatory for a highly competent practitioner and one of the greatest joys of my profession. The continual improvement in techniques and materials in the field allow us to achieve so much more for our clients’ dental health and longevity than in my father’s generation. It is exciting to be able to use this knowledge to give our clients beautiful smiles and increased overall health. Continuing education is a core value in this practice. We host a study club of ten dentists, an orthodontist, periodontist, two oral surgeons, and various lab technicians, in our office eight months of the year. The goal is to treat clients with complex problems, evaluate one another, and pursue advanced techniques and training in all areas of the dental field. This study club is a select group dedicated to continual learning and has been in existence for over 40 years. 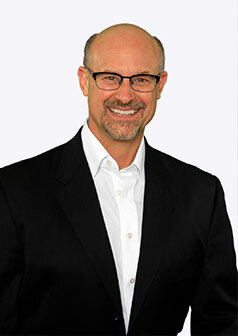 I continually study advanced restorative dentistry with the top professionals in the field. After many years of continuous advanced study, I have been awarded visiting faculty status at the Spear Education Center in Scottsdale, Arizona. This allows me to mentor and teach dentists from across the U.S. and continue my own learning. The gift of mentoring younger dentists, as my father did for me, is deeply gratifying and one of the cornerstones of our profession. It is deeply satisfying to help my peers advance their skills in a supportive learning environment the way my father and other mentors helped me on my journey toward excellence. I am incredibly lucky to spend my days with an amazingly talented and kind group of people. This team is all about taking care of people. They help our clients feel cared for in an authentic way and make a positive difference in the world, one person at a time. I have lived in the Yakima Valley my entire life and reside here now with my wife Victoria, who was my classmate in dental school. We have two boys, Gavin and Kyle. We also have two chocolate labs, Shadow and Kona, who are our hunting partners and constant furry companions. I love the outdoors, especially when I’m hiking, skiing, fishing, and hunting. I also enjoy cooking, playing pickleball and racquetball, and a good political debate. I am active in our community through several organizations, the Union Gospel Mission, the ABCD child dental program, and Children’s Dental Health Month. I’ve also been involved in various school-related activities with my kids, such as fundraising, fiscal responsibility lessons, work ethic activities, and outdoor survival skills.